We are a monthly discussion group co-sponsored by Milwaukee DSA and Solidarity: A Revolutionary Socialist Organization, based around the socialist magazine Jacobin. 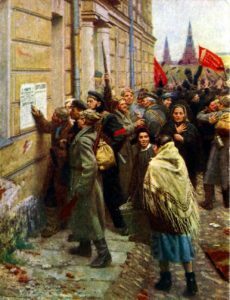 One Monday per month, we meet to discuss a few Jacobin articles organized around a particular theme. Our managing committee is Bill Breihan, Dean Einerson, and Andrew Sours. Christian Parenti’s “The Making of the American Police State” traces the development of the police force in the US, focused primarily on the change in policing tactics and incarceration rates in the late 1960s and onward. “The vast majority of the American police state remains firmly within the public sector. But this does not mean the criminal justice buildup has nothing to do with capitalism. 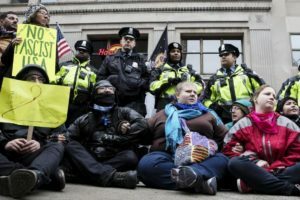 At its heart, the new American repression is very much about the restoration and maintenance of ruling class power.” Parts of this article stray from a history of policing, but it provides a thorough thesis on why the current US police state operates the way it does. Both of these articles are opinionated and may bring up objections from you. We hope that you’ll contribute those to the discussion, and we will, as always, work to build a respectful space to discuss these sensitive and pressing topics.